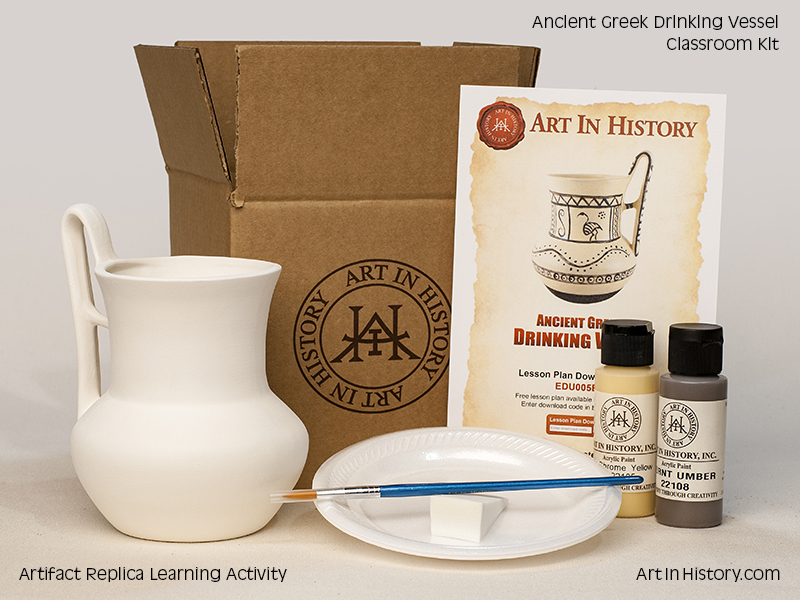 Art In History creates hands-on, brain-based kits that include comprehensive lessons and activities which are aligned to a general mix of Common Core & National Standards for Grades 3-12. Each unit is developed and unified around a historically significant artifact, time period, or piece of art that is substantially tied to many subjects (ELA, Literacy, Math, Social Studies, and Fine Arts). We recreate the artifacts/pieces of art in our manufacturing facility, resulting in individual certified replicas of the actual artifact or piece of art. The replicas are made of earthenware pottery. The replicas are then packaged into individual “Student Kits” for the students to begin the learning process. 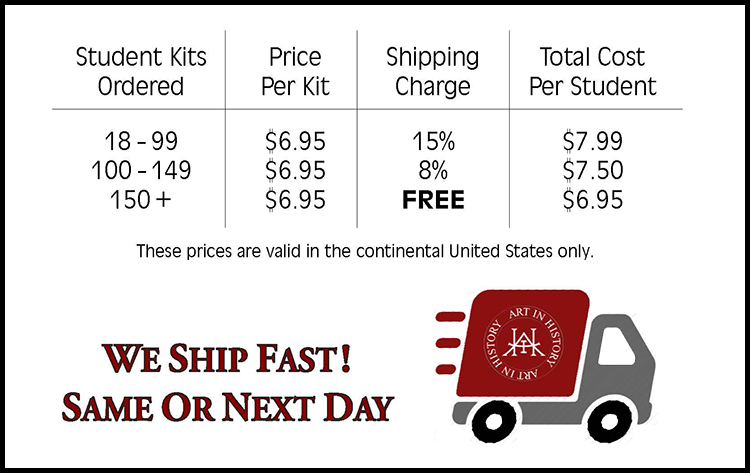 What's In A "Student Kit"? disposable paint palettes, paintbrush and/or sponge(s). What's In A “Teacher's Kit”? 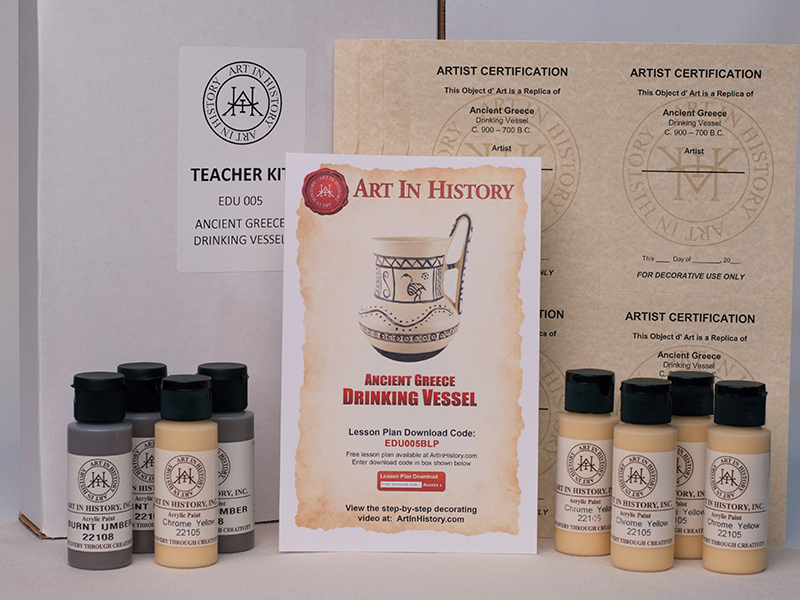 With a minimum purchase of 18 student kits you will receive a teacher’s kit that includes Acrylic Paints, Artist Certification Cards, and Free Basic Teacher’s Guide. Comprehensive Expanded Teacher’s Guides are available for $24.95.